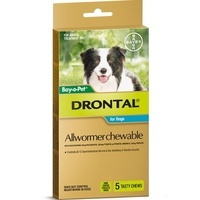 Easy-to-use allwormer chewable tablets. Comprehensive protection against ALL 12 gastrpintestinal worms! ! 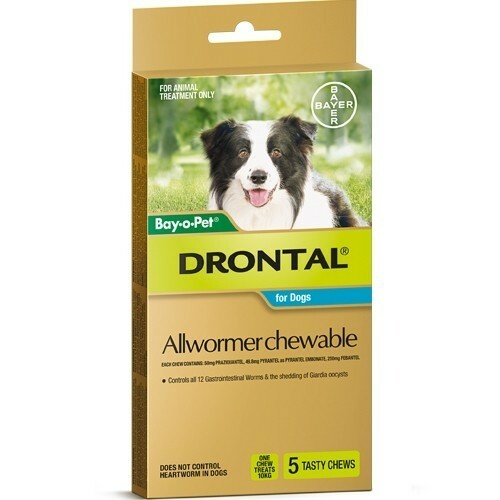 Treatment and prevention of all 12 gastrointestinal worms and shedding of Giardia oocysts..
Easy to use chewable tablets that most dogs love, so no need to hide tablets into treats and / or force it down your dog's throat! Safe to use on young puppies and old dogs. For adult dogs every 3 months.